Sufism: Opening Ourselves to the Divine. 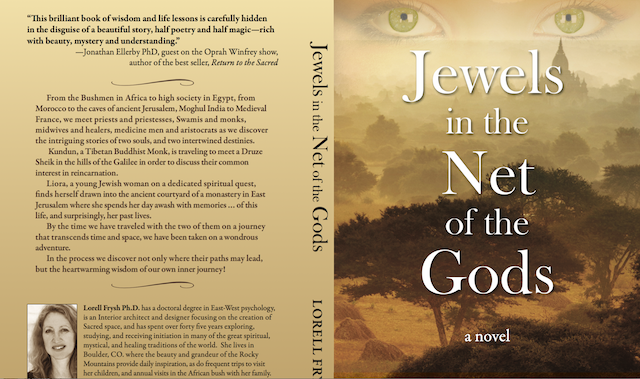 The following is an excerpt from Lorell Frysh’s book, Jewels in the Net of the Gods. *Editor’s Note: Here at elephant, we’re notorious bookworms—we love them, and want you to love them, too. But, recently, we found out books are one of the worst things for the environment. Before you buy your next book, read this and this. Keep reading, but read responsibly. This book is available as an ebook on Kindle and Nook. Sufism, Liora soon to found out, is a spiritual path going back to the time of Abraham, considered to be not only the first Jew, but also the first Sufi due to his state of realization. She learned that Rumi invited friends to enter into that mysterious ‘paradise beyond all the false barriers’ that we unconsciously create as an illusion of protection and survival. Liora’s heart was open and willing. And sure enough, not long after she bought the lamp she was invited into that mysterious garden and went gladly. The orchard she entered came in the form of the Sema Turn. The Turn is a moving meditation practiced by the whirling dervishes. It is imbued with symbolism, its spiritual goal to lose the separate sense of ego identity and merge with the fluid process of the dance of life itself. Liora learned that the whirling Dervish dancers wear tall brown felt hats which symbolize the tombstone of the constricted ego; they wear black cloaks which they remove before they dance as a sign that they are removing that constricted ego consciousness; and their swirling white robes representing the purity of the soul. The steps of the dance, she learned, are simple and few. Stepping right foot around the left, right palm open to the sky receiving spirit, left palm turned downwards bestowing blessing on the earth. Spinning like the planets turning around the sun, her body turned around her heart. Of course, Liora thought, whirling is an inherent pleasure. Children do it naturally. As a child she would whirl often. She remembered a trip to Mozambique taken with her family when she was young. They stopped at a beach north of the capital Maputo where the Indian Ocean was mill‐pond calm. And out knee deep in water, a lone whirler was turning slow circles, joining sea to sky in the rhythm of some deep inner intuitive pattern. ʺWe come spinning out of nothingness, scattering stars like dust,ʺ Rumi wrote. Lorell Frysh, PhD. teaches classes and workshops on spirituality and psychology, and the creation of Sacred Space. 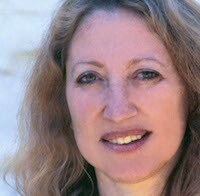 She is a Reverent in the Sufi Inyati Order and is on the teaching staff of the Kabbalah Experience in Denver. She has spent over forty years exploring, studying, and receiving initiation in many of the great spiritual, mystical, and healing traditions of the world. Dr. Frysh lives in Boulder, Colorado. where the beauty and grandeur of the Rocky Mountains provide daily inspiration, as do frequent trips to visit her two children, and annual visits in the African bush with her family.